Guess Who is Replacing SRK in the Rakesh Sharma Biopic? We all got the news that SRK opted out to be a part of Rakesh Sharma’s biopic. Well, according to reports, Vicky Kaushal is all set to substitute Shah Rukh Khan in the Rakesh Sharma biopic titled Saare Jahan Se Achha. 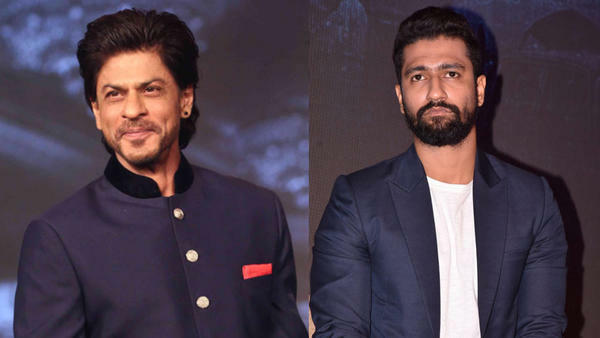 According to a report in a leading media channel, the makers of Rakesh Sharma biopic have loomed Vicky Kaushal to step into SRK's shoes. Though there's no official validation on the same, but according to reports, given Vicky’s series of hit films, the makers are sure that he will do full justice to the role of Rakesh Sharma. Speculation about the film’s lead continues to make the headlines. Well, if SRK is backing out, we will be happy to see Vicky playing Rakesh Sharma on screen. OMG - Rakesh Roshan Diagnosed With Throat Cancer! Vicky Kaushal & Ayushmann Khurrana Make Their Koffee Debut! Manmarziyan: What to Expect from This Abhishek Bachchan Film. Can Actors Like Rajkummar Rao and Vicky Kaushal Take Over from Khans? Krrish 3 Set For A Divali Release! Do You Also Want John's Baby? Harleen Sethi breaks up with Vicky Kaushal? After SRK's exit, Who will play astronaut Rakesh Sharma, is it SSR? Happy New Year Breaks Records!